Congratulations to our Survey Contest winner! Congratulations to Lawson & Kimberly Chapman (and Daisy) for winning the survey contest! "Thanks so much to the RVC Outdoors crew for our new Kindle! We really enjoyed our stay at Live Oak Landing in Florida and hope to return soon. We also are wanting to visit other RVC destinations! (with the new Kindle of course). Thanks again!" Each guest is sent a Satisfaction Survey within a week of check out. 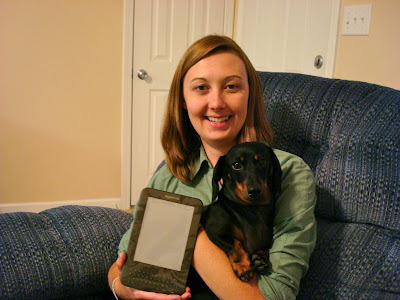 If the survey is completed you are entered into a chance to win a free Kindle eReader. If you stay at multiple Outdoor Destinations you have multiple chances to win! Thank you Lawson, Kimberly, & Daisy! We enjoyed having you!